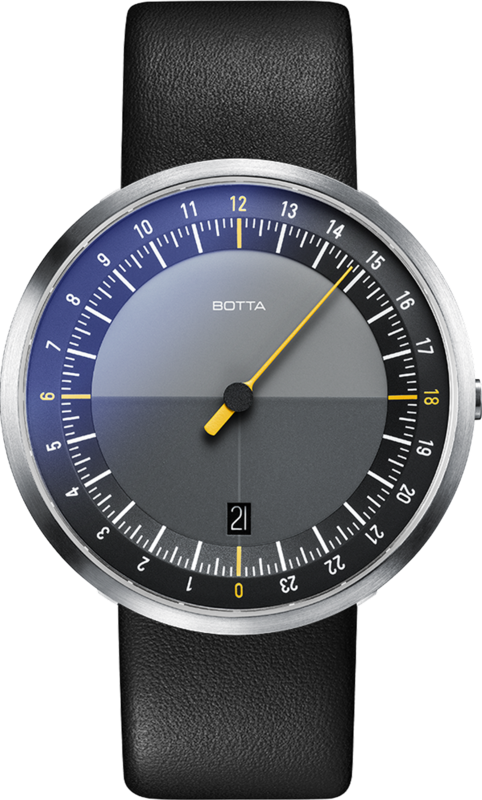 The 40 mm UNO 24 is the 24-hour one-hand watch from Botta-Design. It presents the entire day at a glance, allowing the wearer to adopt an entirely new approach to the time of day. Each day, the precise hand completes just one full rotation of the specially-developed 24-hour scale. A delicate vertical line between the centre of the dial and the “0” at the top marks the transition from one day to the next. As soon as the hand crosses this line, the date jumps forward to show the new day. 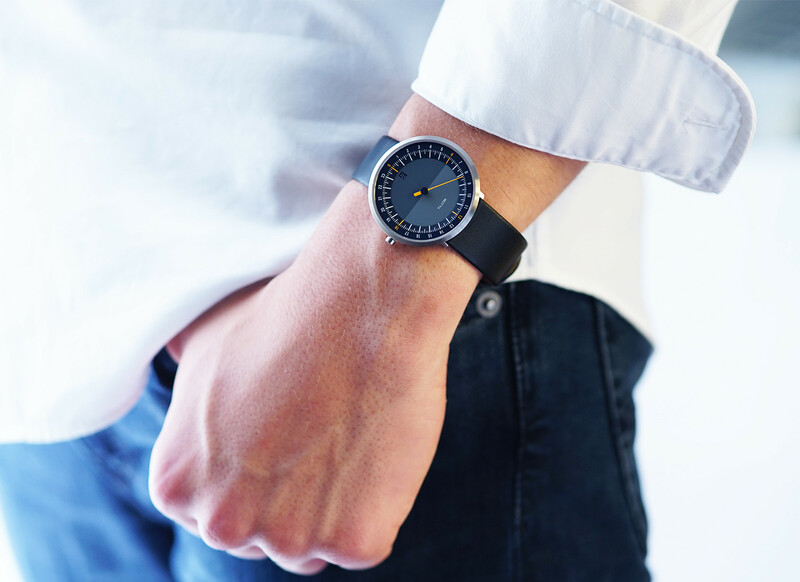 The UNO 24 one-hand watch shows the passing of the day in analogue form, the positioning of the watch hand on the dial reflecting the sun’s position in the sky. 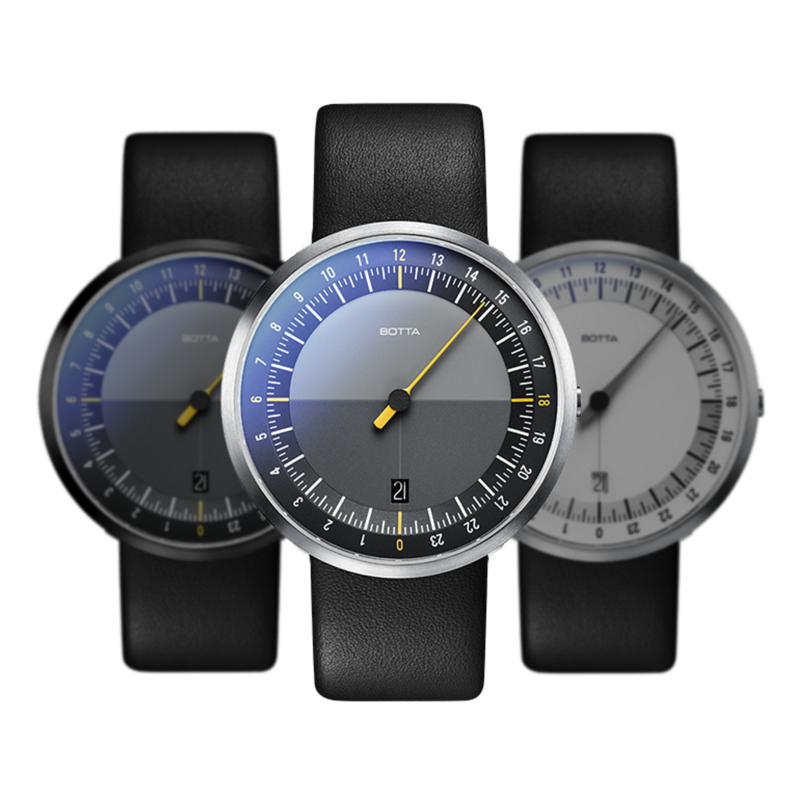 The watch allows the time to be told to an accuracy of roughly five minutes – and even more precisely after a brief period of familiarization. The real strength of the UNO 24 one-hand watch from Botta-Design, however, lies in its simple yet impressive ability to present the entire day “at a glance” in a precise analogue graphic form. A clear explanation of the 24-hour one-hand principlecan be found here. 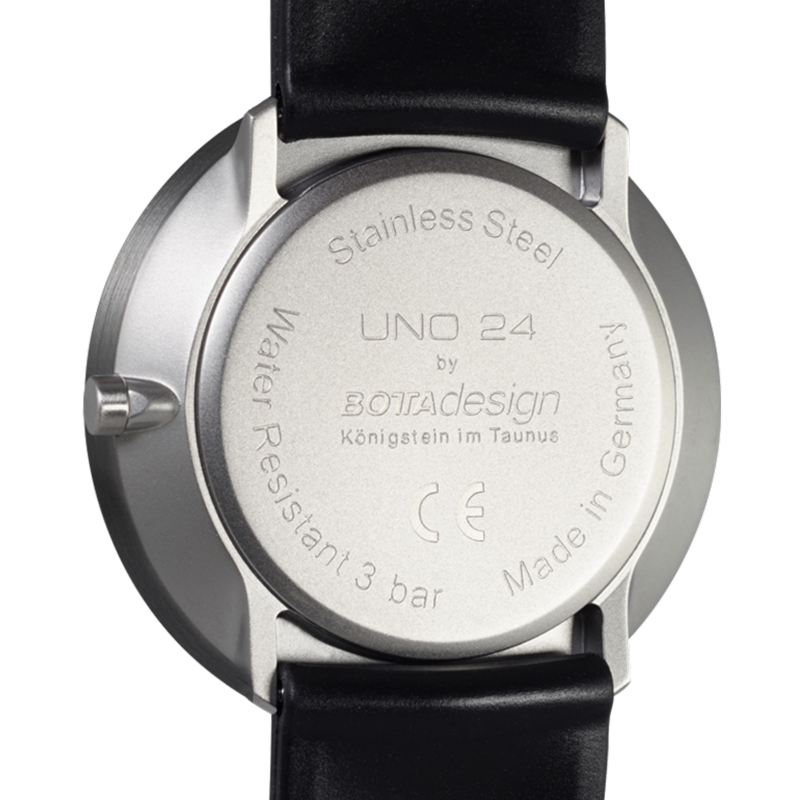 The UNO-24 principle is available in seven different colour and dial versions. An overview of all UNO-24 models can be found here. The UNO24 Black Quartz will be shipped 0. Until then, the model can be pre-ordered at a discount of € -298. Shipment will be on a first come, first served basis.